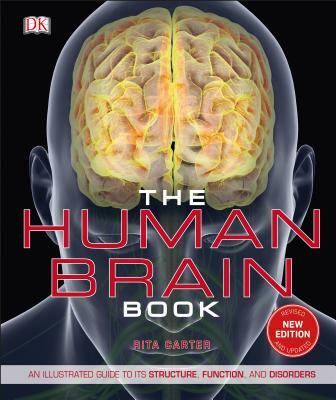 This award-winning science book uses the latest findings from neuroscience research and brain-imaging technology to take you on a journey into the human brain. CGI illustrations and brain MRI scans reveal the brain's anatomy in unprecedented detail. Step-by-step sequences unravel and simplify the complex processes of brain function, such as how nerves transmit signals, how memories are laid down and recalled, and how we register emotions. The book answers fundamental and compelling questions about the brain: what does it mean to be conscious, what happens when we're asleep, and are the brains of men and women different? This is an accessible and authoritative reference book to a fascinating part of the human body. Thanks to improvements in scanning technology, our understanding of the brain is changing quickly. Now in its third edition, The Human Brain Book provides an up-to-date guide to one of science's most exciting frontiers. With its coverage of more than 50 brain-related diseases and disorders--from strokes to brain tumors and schizophrenia--it is also an essential manual for students and healthcare professionals. Rita Carter is a science and medical writer who contributes to many publications, including New Scientist and numerous newspapers. She has twice been awarded the Medical Journalists' Association prize for her outstanding contribution to medical journalism. She is the author of several books that have been published internationally, including Consciousness, Multiplicity: The New Science of Personality and Mapping the Mind, which was shortlisted for the Rhône-Poulenc Prize (now the Royal Society Prize for Science Books). Rita also lectures about the brain at seminars, conferences, and workshops around the world.